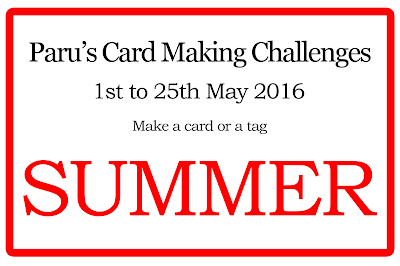 The challenge for May is..
Make a card or tag using the theme given. Take a photo of your card or tag along with the masking process. 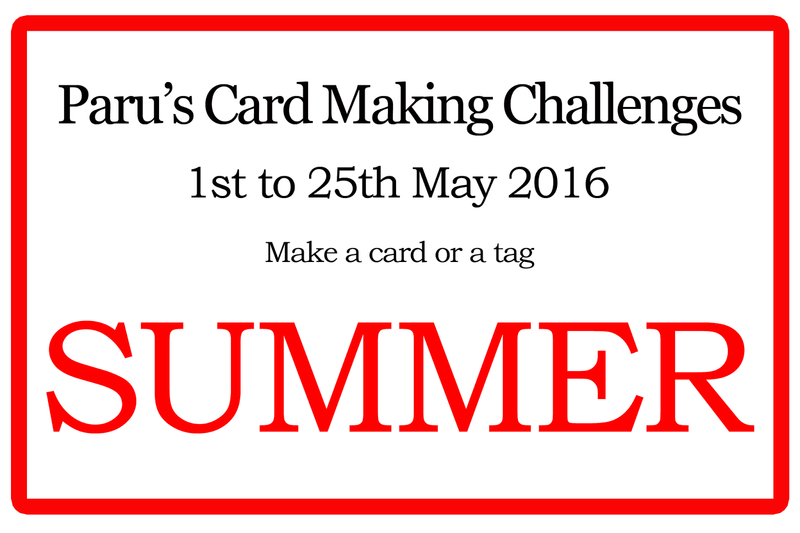 If you have a blog, write a post about our challenge, including photos of your card or tag and your process. What do you think of when you think of Summer?? To me summer is mangoes, ice creams, bright flowers and sunny hot days! 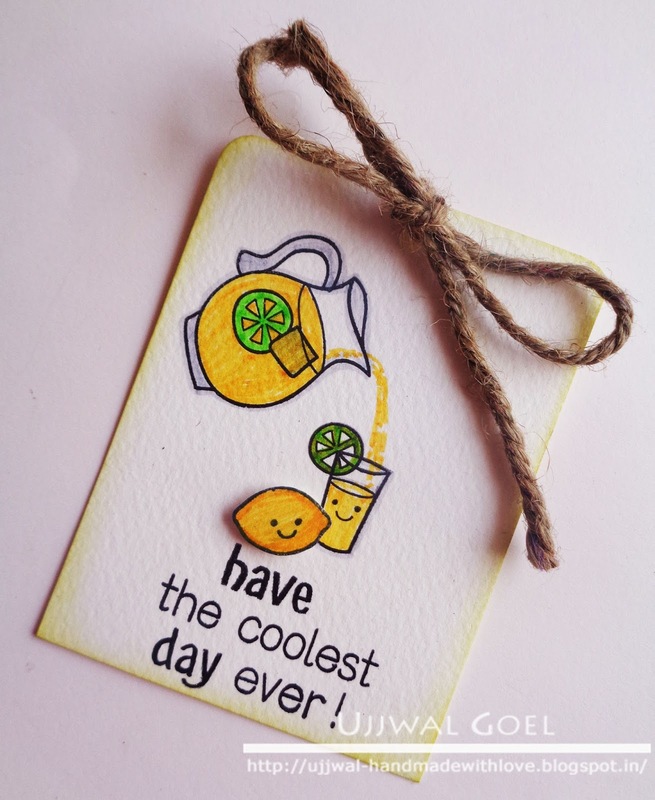 To make this card, I created my own patterned paper (on Photoshop) with a mango motif. I then added the pretty yellow floral paper from Doodlebug designs along with the polaroid die cut (Lawn Fawn), the sun die cut (Sizzix) and the goggles die cut (Impression Obsession). I finished the card with a heat embossed sentiment on Vellum from Paper Smooches. For this tag, I die cut two popsicles (Scrapping cottage) and watercoloured them in mango and raspberry flavours! 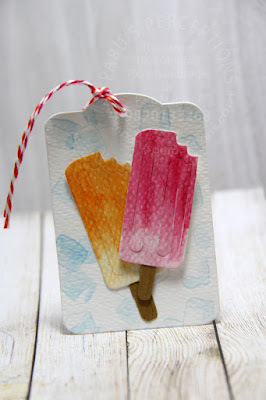 I stamped ice cubes (PTI) on the tag and adhered the popsicles with foam tape. I finished the tag with pink and orange bakers twine. Doesn't really need a sentiment no? 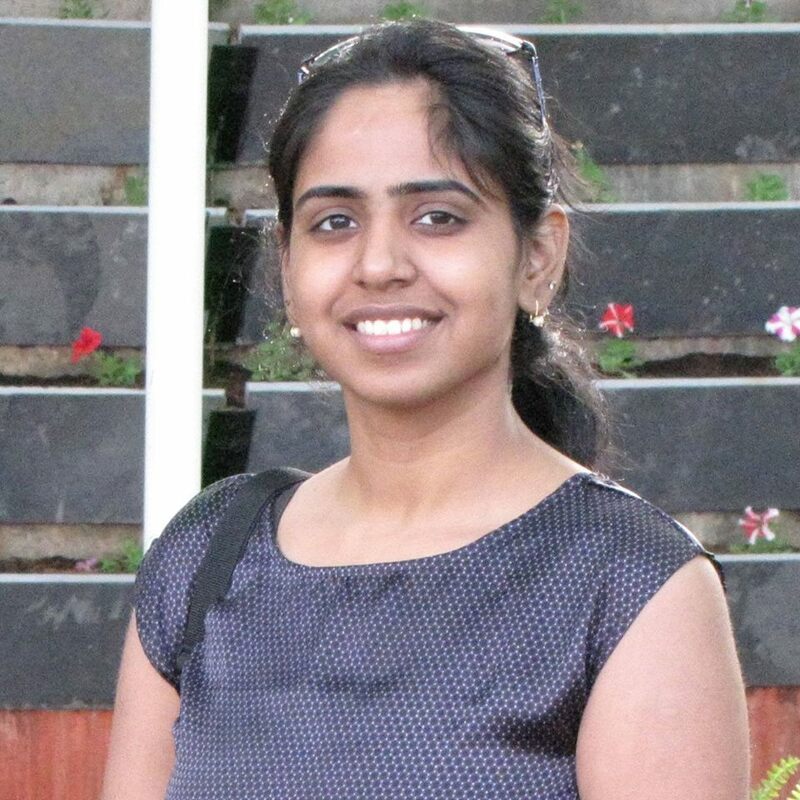 To inspire you some more, this month the fabulous Ujjwal Gupta is in the house as guest designer for our challenge! Those of you who follow her may know her fabulous work! It is truly an honour to have here to inspire us this month! 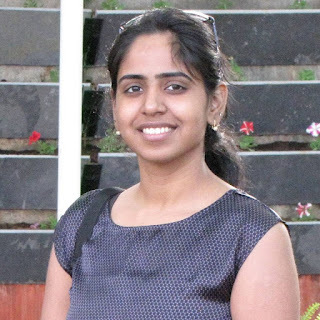 I am Ujjwal, a stay at home mum and artist and have been in the blog world, creating and sharing and hopefully inspiring for more than 6 years now. I love clean and simple designs that pack a punch. I am excited today to be guest designing here, it is such an honour! 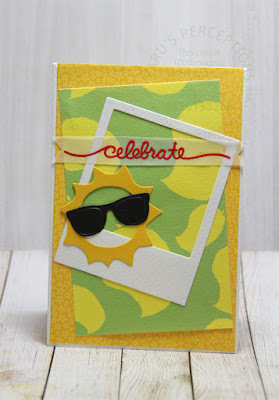 It's no secret that I adore Lawn Fawn stamps and I thought 'Cruising through life" stamp set was perfect to create a lovely sunny day in the park. 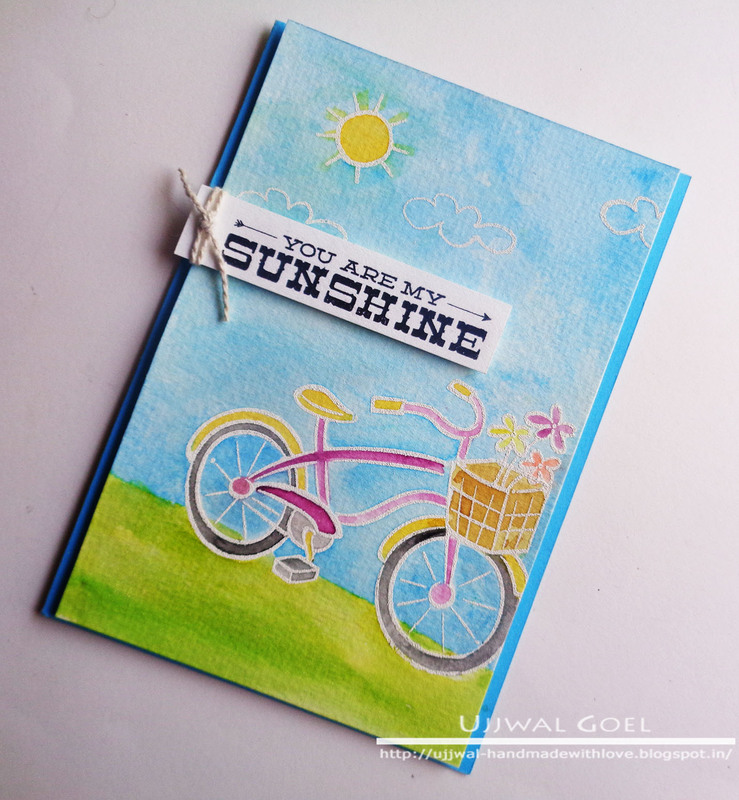 The sun and the clouds are from Jane's Doodles Seamus Stamp Set and the sentiment is from Hero Arts. I white heat embossed all the elements on Canson Watercolour Paper and then coloured with distress inks and a waterbrush. Now what's summer without some lemonade..right? For the tag, I used another Lawn Fawn mini stamp set called "Make Lemonade". I stamped the imae on Canson Watercolour paper and coloured them using Faber Castell Markers. I fussy cut the lemon and popped it up using some foam tape. For the sentiment, I combined two different stamps-Lawn Fawn Best Pun ever and Hero Arts Magical Castle. I also lightly inked the edges using some crushed olive distress ink and a sponge dauber and tied some jute string. I hope you like the projects I have created and feel inspired to play along! I hope that we have inspired you to bring out your cool summery designs! I will announce the winner on the 28th of May. 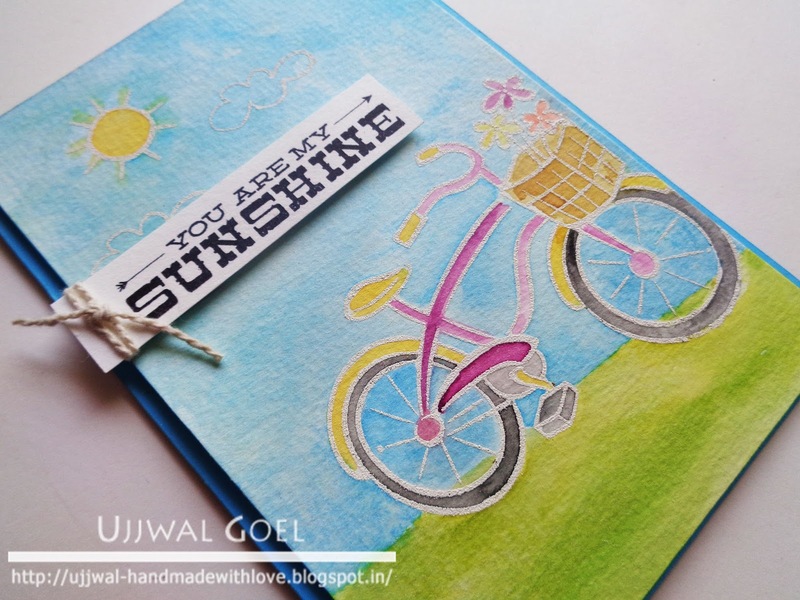 Lovely card and tag , Ujjwal...So summer-y!!! 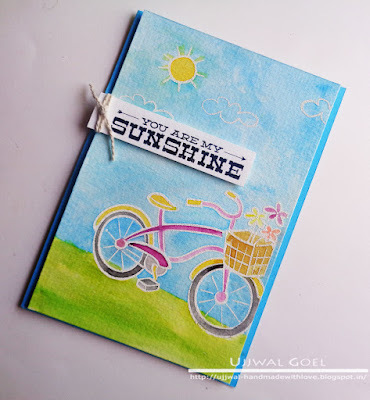 Fabulous 'summery' cards and tags, Paru and Ujjwal! 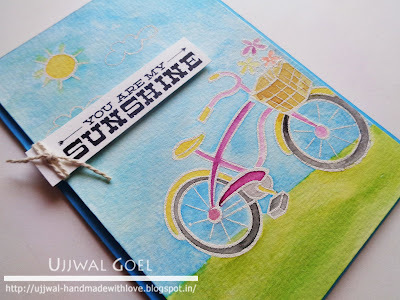 So creative and fun, and I love all the watercoloring! Wow your cards are so amazing and inspiring! I am looking forward to participate in this challenge..
Just a quick question, am I allowed to participate multiple times? And can I put up my card for other challenges too? Yes you can! Thank you for playing along! Cool creations!! Would love to participate, can you please let me know if ATCs are accepted for the challenge? Yes you can enter ATC's too.